"...this week’s Park Hill winner God Given (third) was among those she beat in good style." The Arc trials return to their traditional home of Longchamp for the first time since 2015, but how much bearing they'll have on the big race in three weeks' time is another matter. Ante-post betting on the Arc, headed by last year's winner Enable, is dominated by British-trained horses giving the traditional French trials a miss, while France's leading contender, Prix du Jockey Club winner Study of Man, will be in action at Leopardstown instead 24 hours earlier. Even so, some of those engaged on Sunday could book their ticket to the Arc if impressing sufficiently and there's British/Irish interest in all three trials. The fillies' and mares' trial is a Group 1 in its own right, though this looks a substandard renewal, particularly after last year's winner Bateel, Prix de Diane runner-up Musis Amica, and Lah Ti Dar, who goes for the St Leger instead, have all become absentees. Three-year-old fillies account for most of the field, with Cheshire Oaks and Ribblesdale winner Magic Wand the pick of them on form. However, she doesn't set that high a standard, and has had her limitations exposed more recently, sent off odds on for the Irish Oaks and proving no match for Sea of Class again in the Yorkshire Oaks where she had the run of the race but again finished fifth behind that Arc-bound filly. A more progressive pair of three-year-olds are the German filly Well Timed and the David Lanigan-trained Worth Waiting, both of whom are going for five-timers. Well Timed, unbeaten this season, faces a stiffer task than when landing her country's Oaks last time, as does Worth Waiting whose winning run began in a median auction maiden at Redcar, but a clear-cut success in the Prix Minerve at Deauville last month gives her every right to a crack at a Group 1 prize. Worth Waiting had Zarkamiya back in third at Deauville, and while the Aga Khan filly has the pedigree to be competing at this level (her dam Zarkava won the Vermeille ten years ago on the way to keeping her unbeaten record intact in the Arc), she's yet to prove herself better than useful, admittedly from just four starts. With no standout three-year-old, this could therefore be the fourth Vermeille in the last five years to go to an older filly or mare. Godolphin's Kitesurf fits the bill, with the powerful four-year-old coming here on the back of a ready win from off the pace in the Prix de Pomone at Deauville last month where this week's Park Hill winner God Given (third) was among those she beat in good style. 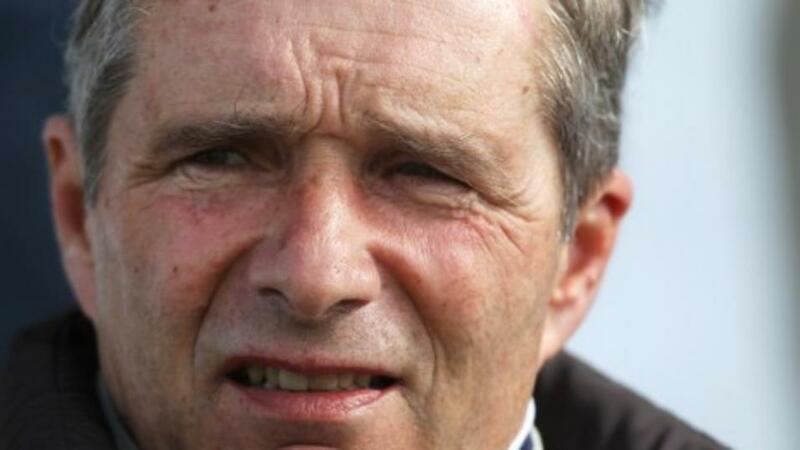 Kitesurf's trainer Andre Fabre has three of the six runners in the Prix Foy for older horses which has the best-quality line-up of the trials and is the most likely to supply an Arc runner or two. Deciding which of the six will be most ready to put his best foot forward on Sunday is no easy task, however. Last year's St Leger form has received plenty of boosts in the meantime from the beaten horses but the winner Capri has been sidelined with a shoulder injury since a winning reappearance in the Group 3 Alleged Stakes at Naas in April. Fabre's trio include last year's Arc runner-up Cloth of Stars, though he hasn't gone close to repeating that top-class effort so far this year, twice finishing behind stable-companion Waldgeist. That said, Cloth of Stars' whole season has no doubt been geared around a repeat Arc bid, whereas Waldgeist enjoyed a very productive first half of the season, narrowly completing a hat-trick of group wins in the Grand Prix de Saint-Cloud when last seen at the beginning of July. The answer to a tricky contest could be Fabre's third runner Talismanic, he too representing Godolphin like Cloth of Stars. Talismanic peaked late last year to win the Breeders' Cup Turf and finish second in the Hong Kong Vase, and while a Dubai World Cup attempt didn't go well early this year, he made a successful return from a break at Deauville last month in the Prix Gontaut-Biron. That recent run, plus the return to a mile and a half, are points in his favour. Japan's Arc hope this year is Clincher who goes on trial here too. His best form puts him right in the mix but he too returns from a long break since the spring and his very best performances have come in stamina tests (second in a soft-ground Japanese St Leger, for example) which might leave him vulnerable in a potentially tactical affair where there's no obvious pace-setter. Just the six in the three-year-old colts' trial too, and once again Ballydoyle and Godolphin have live contenders. Hunting Horn is the O'Brien representative and looked to have a big future when running away with the Hampton Court Stakes at Royal Ascot. Two Grade 1 defeats since in America have rather dented his reputation, though this will be just his second try at a trip that appeared to suit when he finished third in the Chester Vase. Godolphin's Brundtland is the dark horse of the line-up, now the winner of both his starts for Charlie Appleby after making a belated but successful return in the Grand Prix de Clairefontaine last month, and while he's the least exposed of these, even by listed standards that was by no means a strong race. Louis d'Or came from well off the pace to finish a close third in the Prix du Jockey Club (Hunting Horn back in sixth) and is bred to be suited by this longer trip, but his overall record doesn't inspire confidence. German colt Royal Youmzain has finished third in Group 1 contests at home on his last two starts in the Deutsches Derby (sent off favourite) and Grosser Preis von Berlin (just failed to make all against older horses) and has more solid claims, but this can go to the Grand Prix de Paris runner-up Neufbosc who has improved with every run. Trained by Pia Brandt, he split no less a pair than Kew Gardens and Dee Ex Bee on that start in July, form which could look better still depending on events at Doncaster on Saturday. Neufbosc only gave best close home to be beaten just over a length by Kew Gardens, and that followed two course-and-distance victories which show he's very much at home around Longchamp.